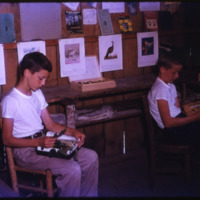 This image shows two boys sitting in chairs and examining objects in what appears to be a nature education center at Camp Yonahnoka. 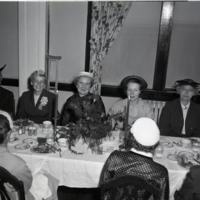 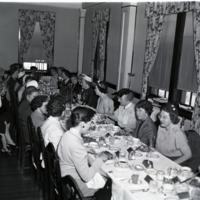 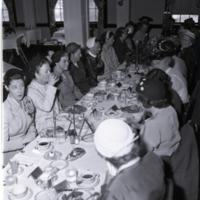 This image is of members of the Delta Kappa Gamma academic fraternity seated at a table in the Daniel Boone Hotel. 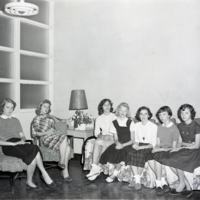 The original envelope was labeled "Delta Kappa Gamma , Daniel Boone Hotel, 5/54" and had been filed under "School Groups." 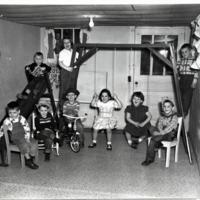 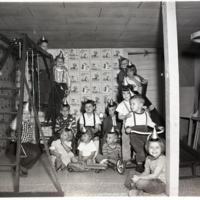 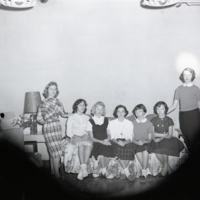 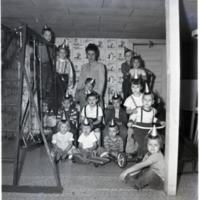 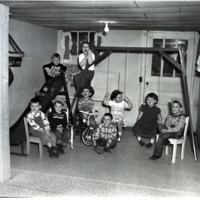 Black and white image of the Parkway School monitors seated inside on chairs and couches, posing for the camera.